Formula 1 drivers asked the FIA to remove the chicane on Paul Ricard's back straight in order to improve racing at the French Grand Prix. 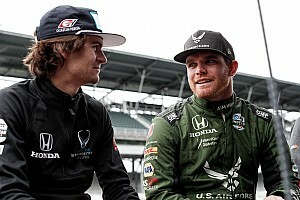 Several drivers used Friday's drivers' briefing to suggest the current layout would not make for great racing on Sunday. Changes cannot be made this weekend because the circuit is homologated for F1 with the chicane, the FIA would need to run simulations of how safety aspects of Turn 10 would be affected by higher approach speeds and teams have brought cars set up for the original layout. Toro Rosso's Brendon Hartley, who tested Porsche's LMP1 car at Ricard without the long straight, said he felt using the full back straight has "a bit more character, and probably history as well". "I think a long straight line will potentially create more overtakes," he said when asked by Motorsport.com. "I don't think it will happen for tomorrow, but I've tested and raced without the chicane. "It makes things interesting because it's less downforce with the long straight line, Turn 10 becomes more of a corner, and so does the last sector with less downforce. "Maybe it's a discussion point for next year. The good news is here there are plenty of options." Sergio Perez said the drivers wanted to improve the show for fans. 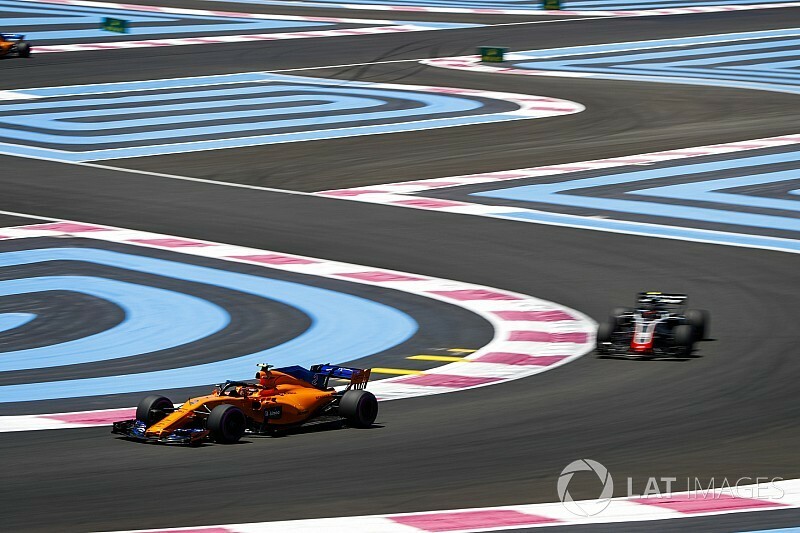 "We asked Charlie [Whiting, FIA race director] about this, to improve the overtaking, to improve the show, and make it more interesting," said Perez. "I think the best race we've had up to now this year has been in Baku, and all the tracks should be taking some direction from that. "The circuit is challenging, it pushes the drivers for mistakes." The pit entry and exit also came in for some criticism in the drivers' briefing. Concerns over the first have already led to a reduction in the speed limit from 80km/h to 60km/h, as Whiting felt that a driver losing control might spin into the Mercedes pit area. 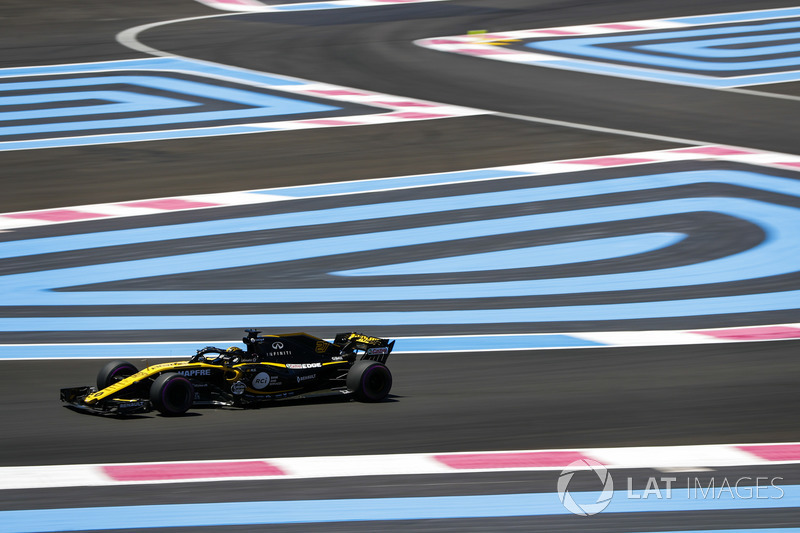 Some drivers have also suggested that Paul Ricard's multiple layout option gave them some issues. Friday pacesetter Lewis Hamilton said it was hard to find reference points around the track, and possible to lose track of certain parts of the lap because of the painted run-off areas. "There's a lot of different lines you can take and it's tricky to find reference points out on the track," said the Mercedes driver. "It's difficult to tell where you are. There's a couple of places, for example on the back straight where you're trying to find out where the corner is." Daniel Ricciardo and Nico Hulkenberg felt that problem went away after a few laps. "A lot of the corners are kind of blind," said Hulkenberg. "You have so many different track layouts and all these colours alongside the track. "But after a couple of laps you are getting it." Ricciardo added: "It's kind of open, you can get lost with all those blue and red lines, but the layout was more fun than I thought."